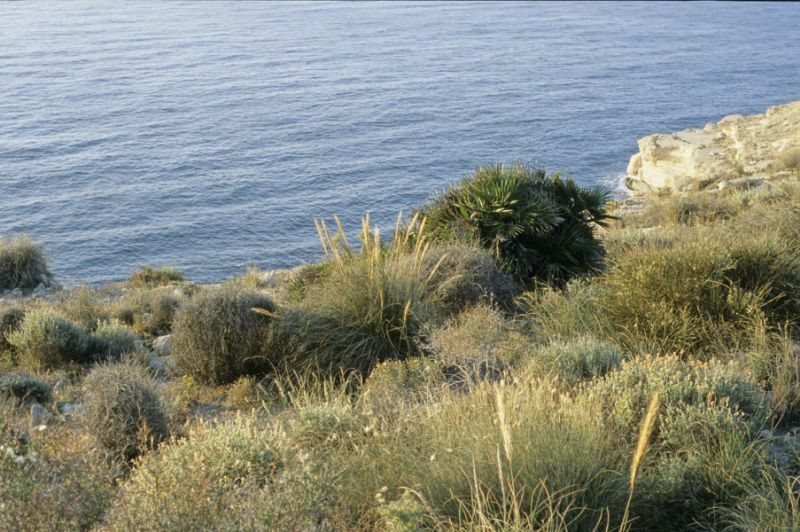 Mediterranean grasses are numerous and many of them can be found in Pelion. This hook-like peninsula is situated to the south of the eponymous mountain, which itself is not far from Mount Olympus. Although known for its verdant landscape with many varieties of trees, Pelion is also home to numerous medicinal plants and herbs as well as orchids and more general mediterranean flora, including grasses. Dr Gereon Bueschges is a botanist from Germany who has gardened in the village of Horto for 25 years. By happy coincidence, the English translation of this village’s name is usually given as ‘Grass’. 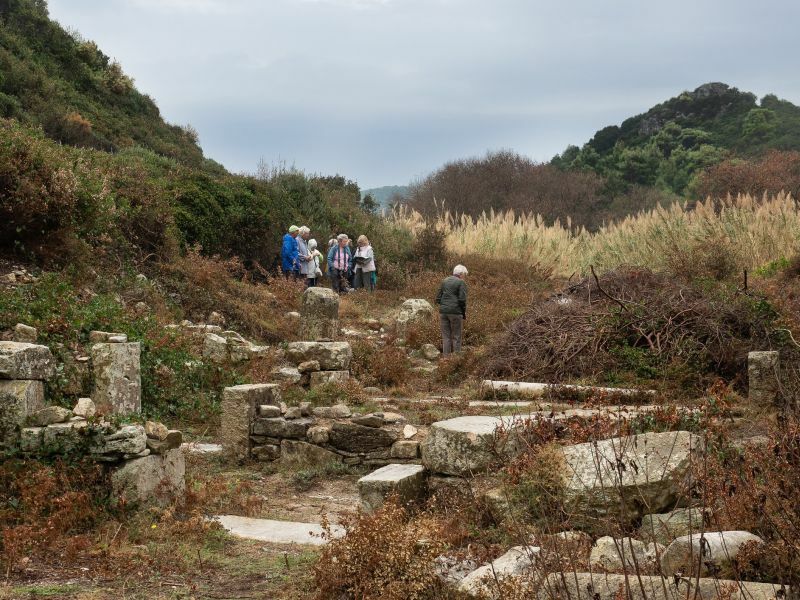 When the MGS’s Greek Branch visited in October 2018 Gereon gave a most interesting talk about the many varieties (more than 85) that he has personally identified here over the years. Gereon has found and identified in Pelion seven plants belonging to the Cyperaceae and 58 different grasses (Poaceae), of which ten are related to wheat. Many grow on the winding country roadsides, on cliff tops and lost in the wild; they give an unexpected elegance to the scenery throughout the year. As they wave and rustle in the breeze they also complement the already magnificent views over the Aegean and, more frequently, the west-facing Pagasitic Gulf. 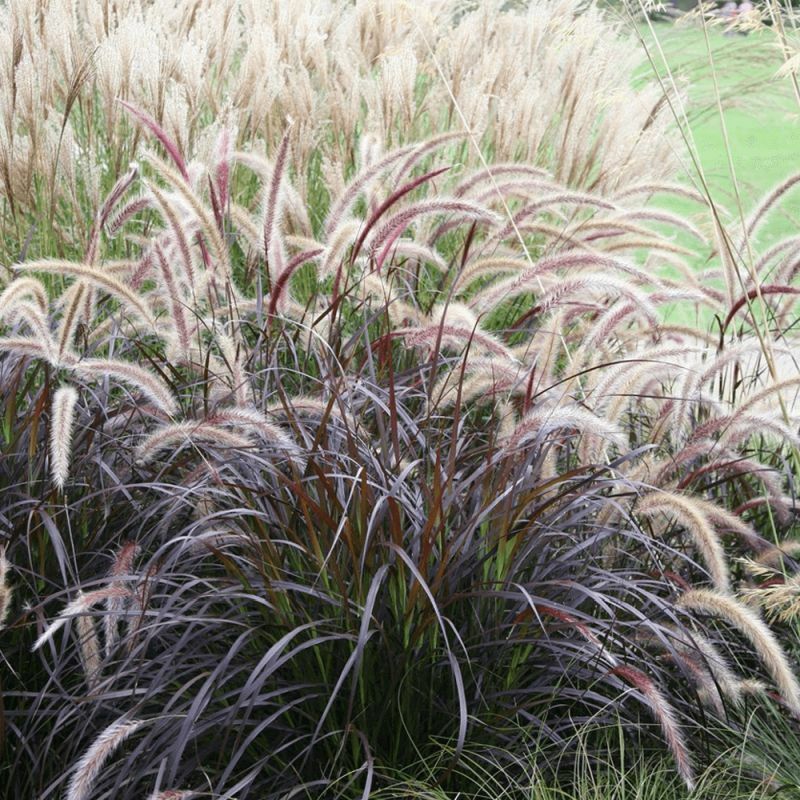 This brings us back to gardening with grasses in our own neighbourhood of Pelion. Gereon Bueschges has identified many useful grasses during his years in Pelion but he too advises caution in the garden. 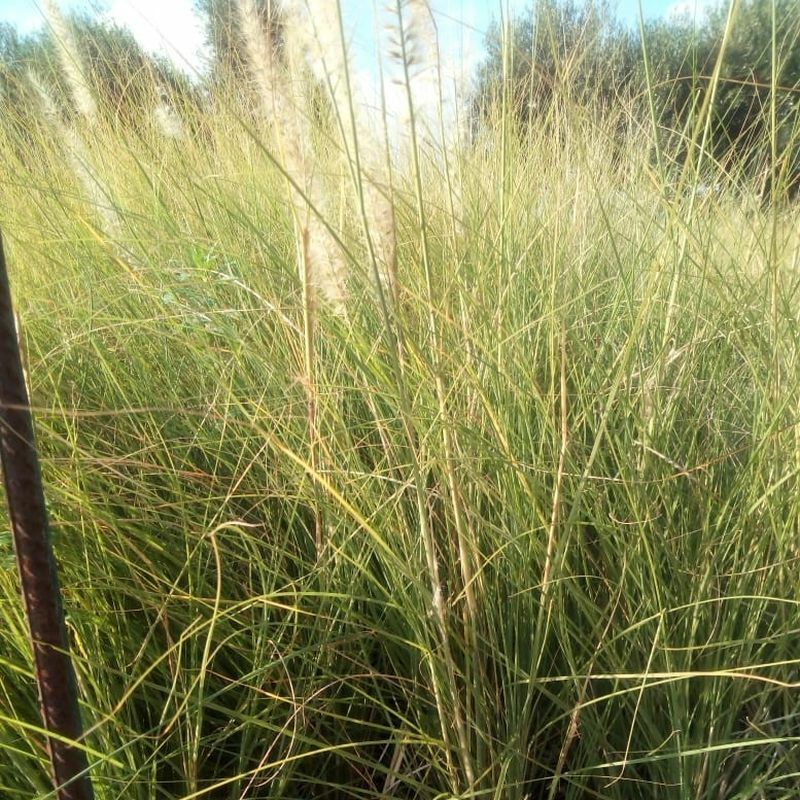 “Some grasses can become highly invasive,” he says. The neophytes, which are very heavy and spread rapidly, are particularly difficult to remove. 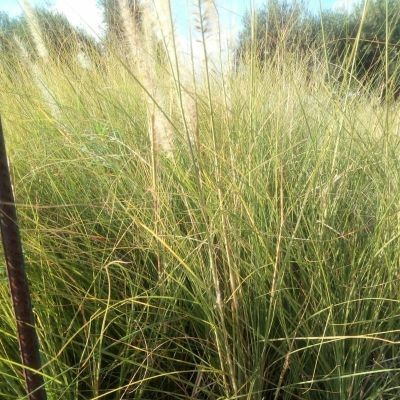 He mentioned Cynodon dactylon, called agropyron in Greece, Piptatherum miliaceum and Calamagrostis. He has a particular antipathy to Hyparrhenia hirta. 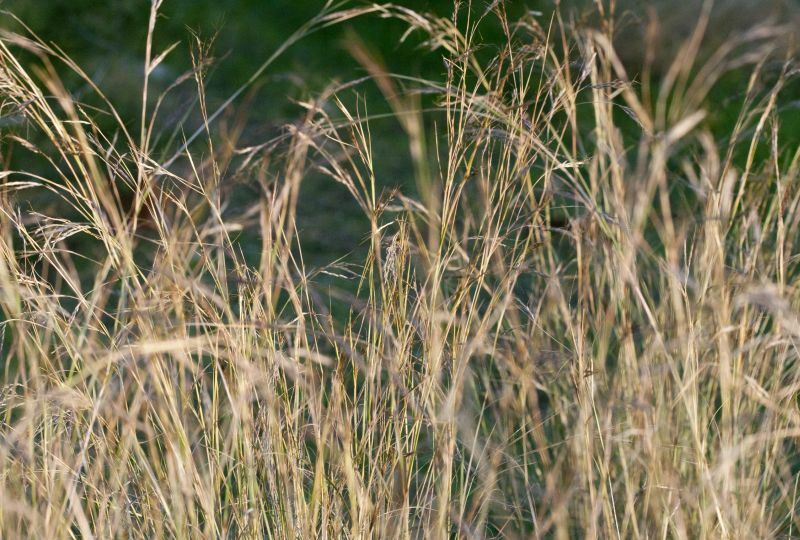 Other grasses to avoid are those which spread widely through seed dispersal, for example plants of the genera Setaria and Digitaria. Gereon nevertheless has some favourites. During his talk he gave examples of the species he has found in Pelion which he recommends: Briza maxima, Calamagrostis epigejos, Imperata cylindrica, Lamarckia aurea, Phalaris canariensis, Stipa barbata, Stipa tenacissima and Lagurus ovatus. 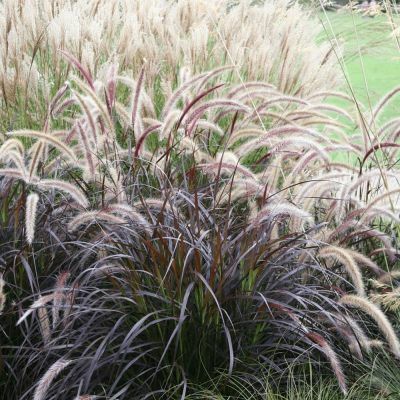 Of course, grasses can surprise you in the garden. 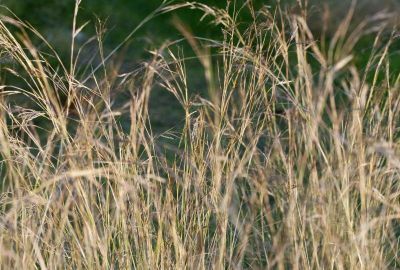 Last year Sue asked Gereon if he could identify a lovely ‘grass’ which she was very pleased to see growing unexpectedly. 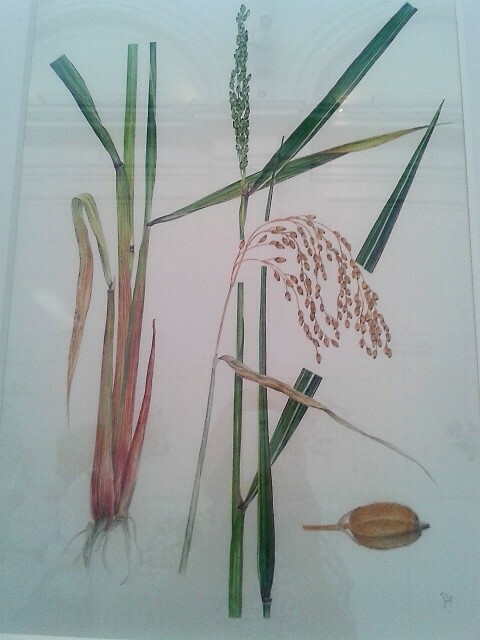 It is apparently a variety of rice and could have been brought by a migratory bird from an area where rice is grown commercially – a welcome addition to her very new collection of grasses here in Pelion. 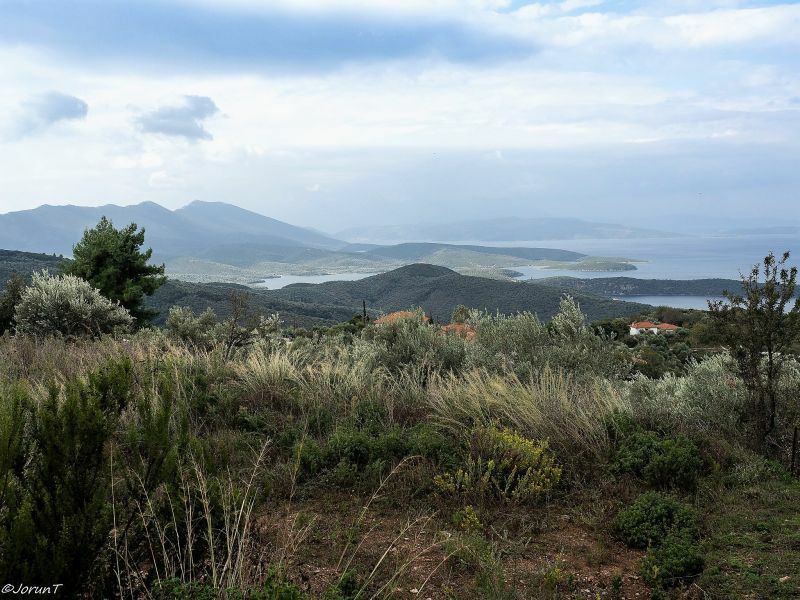 See details of the post-AGM tour to Pelion.